Like most users, you must have a folder on your computer where you save all your files which you have downloaded from the Internet. The problem with this kind of solution is that over time the folder is full of files of different formats. The organization is almost impossible! Fortunately, here is the best solution for this kind of things. File Punter, A portable software that can automate the process of organizing your files. You simply set the folder where each file will be moved. For example, MP3 files in the folder “Music”, AVI files in the folder “Videos” and so on. 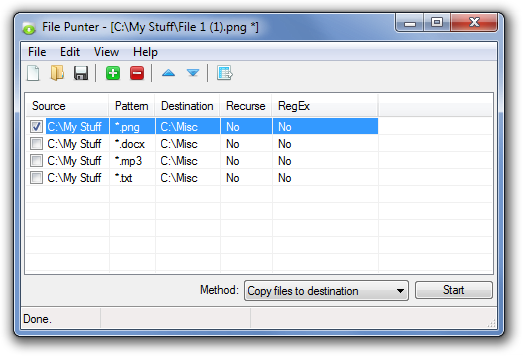 Use regular expressions to copy/move files into new, dynamically generated destination folders. You can also use simple wildcards to sort files into static destination folders. File Punter is compatible with Windows XP, Windows Vista and Windows 7 (32 and 64 bit).